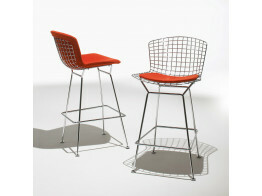 Find a wide range of contemporary bar stools from swivel bar stools to height- adjustable bar stools. 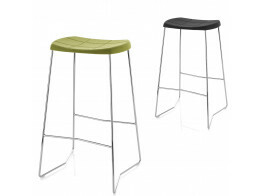 Apres supply a wide range of modern designer stools for bars, kitchen and breakfast areas. 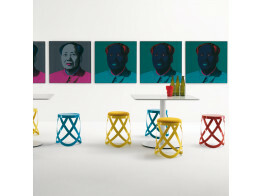 Series of high and low stools, realised in metal laser-cut plate, folded up and matt lacquered in white, black, red, yellow and blue colours. A small magnetic cushion for the seat is also available. 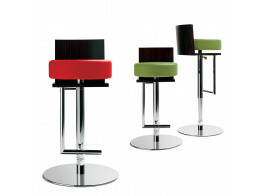 Four Seasons Bar Stools are both classic and modern. Can be upholstered in textiles or Spinneybeck leather. 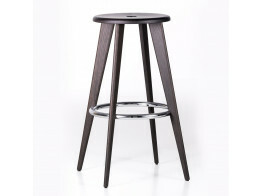 Aline High Stool is made of high-performance glass fibre-reinforced polyamide. With or without armrests. 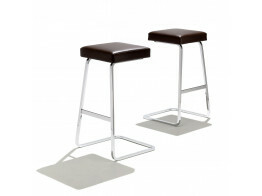 Millibar Barstools are stable but light in weight and encourage a great seat position. 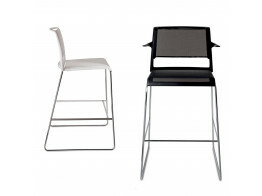 Mini is a small and light bar stool with the same qualities of larger stools. 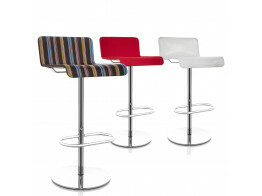 Le Spighe Bar Stools have a swivel base and extended foot rest. 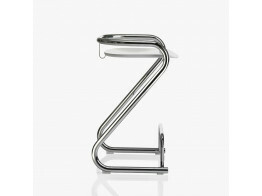 A height-adjustable version is available.